EGX Rezzed was bustling with life throughout the weekend and while the booths were filled with new games and devices left and right, a few controllers I have never seen before caught my eye. That’s how I got to talk with Becky Frost, Event Administrator and Volunteer Coordinator for the Special Effect charity. If you’ve never heard of it, perhaps it’s time you should. 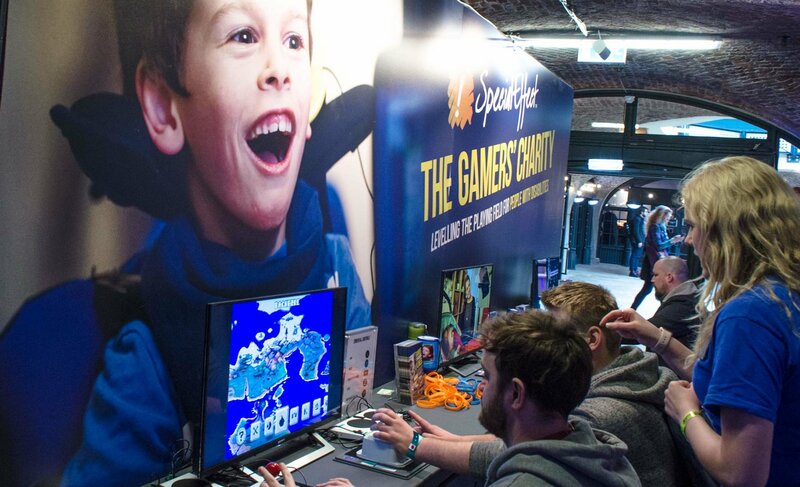 Special Effect is an UK-based ‘gamers charity’ that was founded in 2007 by Dr. Mick Donegan. 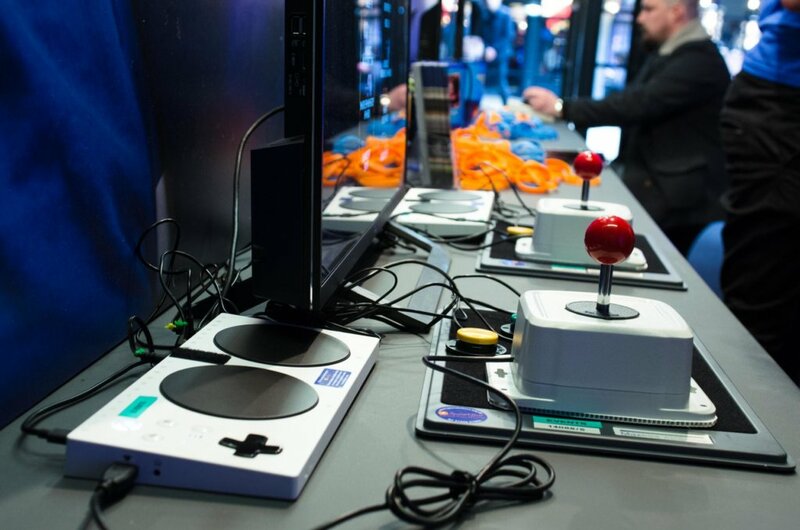 The charity makes and modifies controller setups for people with physical disabilities so that they can play videogames and be an active part of the worlds they would otherwise only seen on screen, as played by someone else. 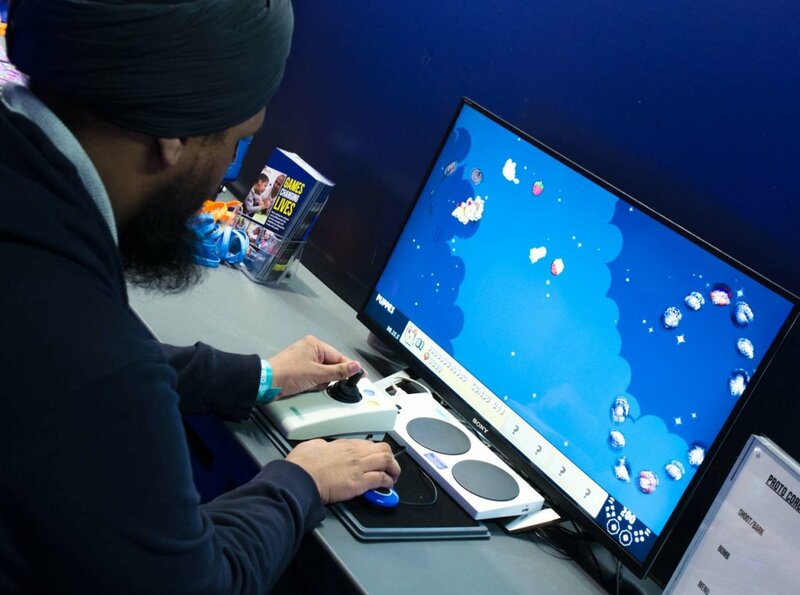 The charity, while it doesn’t create their very own games, does work closely with developers who want to make their games more accessible and, in some cases, they develop what they call ‘game overlays’. For example, the charity created EyeMine, a Windows-based software that is free to download for anyone with a Minecraft account which works with a number of eye-trackers, such as units like Tobii 4C. The eye-trackers follow the gamer’s eyes and allow them to move the pointer around on screen. They can click by staring at a screen button for a set amount of time or using a switch that is plugged into the computer. The charity does not code the games in-house but they do advise the developers on the best ways to make their games as accessible as possible. 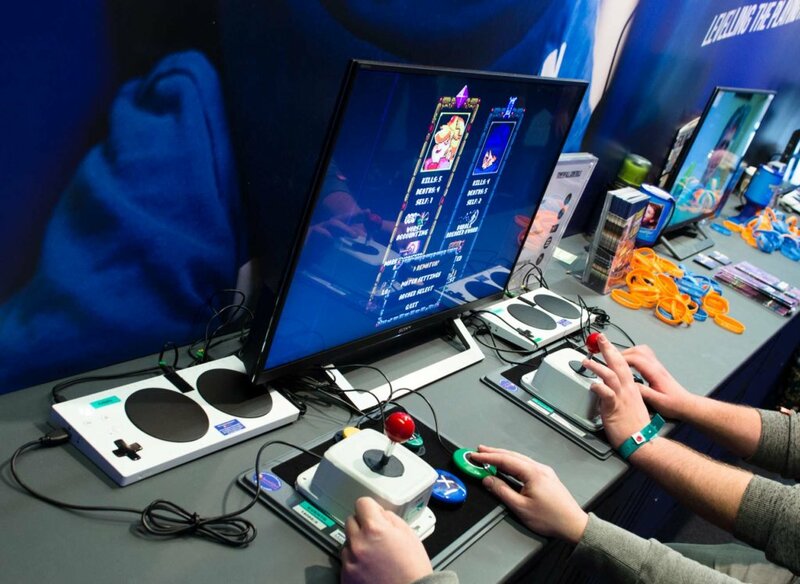 Special Effect worked together with Microsoft in 2018 and developed the Xbox Adaptive Controller, which was tested by the disabled users that the charity works with, before it was released. So, aside from proving all the necessary knowledge to the gaming companies, what else does Special Effect do? Quite a lot, actually. Special Effect gets very up close and personal to the people it is trying to help. There is no “one size fits all kind of solution with us, it’s all very bespoke,” Frost continued to explain to me, telling me about one of the users they are helping, who is wheelchair-bound and plays with a controller set up behind his head. The occupational therapists have previously made sure that that sort of setup is ergonomically safe for him. The charity physically works in the UK but they have done remote work with other people who live overseas and have offered help via Skype. In addition, the team also produces YouTube ‘how to’ videos. The Special Effect team is small, but they do work with volunteers from a lot of gaming companies who offer their time during events like the EGX Rezzed.